Is there any point to the freak bike? Not really. They don’t improve on the performance of a bicycle, nor do they advance the human race. But, much like the main reason we ride bikes, they are fun, fun, fun. Altering how a bike is ridden, what perspective it gives you, or where you can go all advance the fun factor of cycling. If you really want one of these rides, you’ll most likely have to build it yourself. Which is also half the fun. 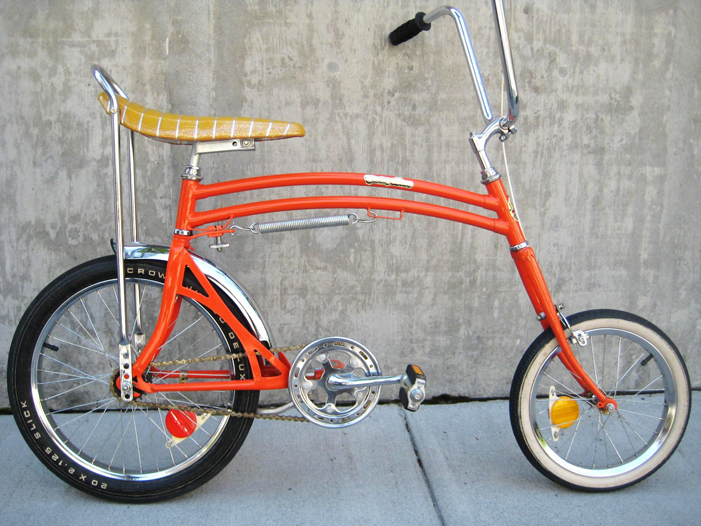 Very briefly in the mid-70s there was a company that actually manufactured swing bikes. But it was a fad that didn’t last long. Swing bikes have two pivot points; one at the handlebars and one at-or-around the seat tube. They’re surprisingly difficult to ride, but once you get the hang of them, they’re a damn good time. These days, you’ll need to be build your own swing bike, unless you can find one of the originals on ebay. Legend has it that the tall bike originated from the good old days, when lamplighters would have to cruise around town lighting all the whale blubber lanterns. It’s a nice legend, and I’ll stick with it. 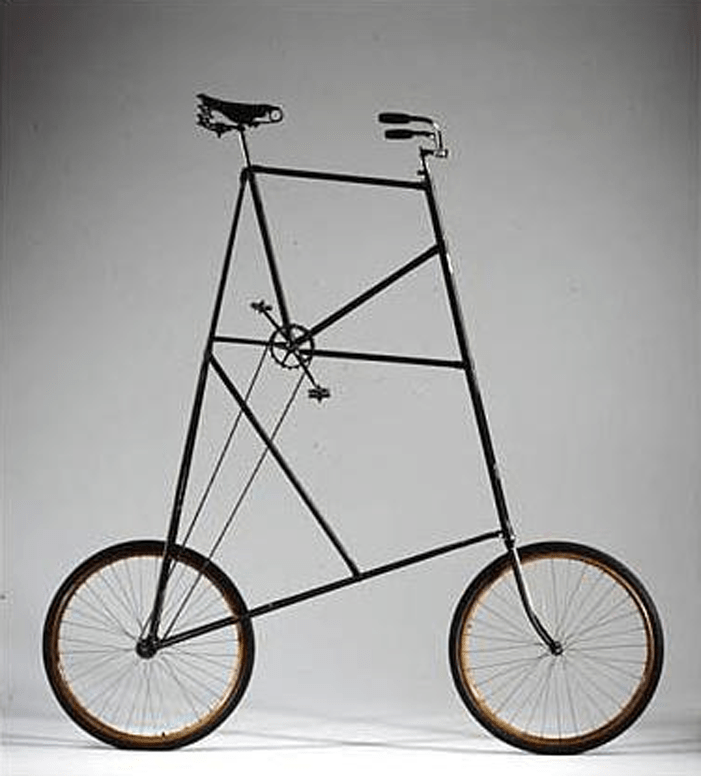 Today, tall bikes are getting more and more extreme, but they’re generally made with some configuration of two bicycles welded together. The possibilities for how they go together is almost endless. 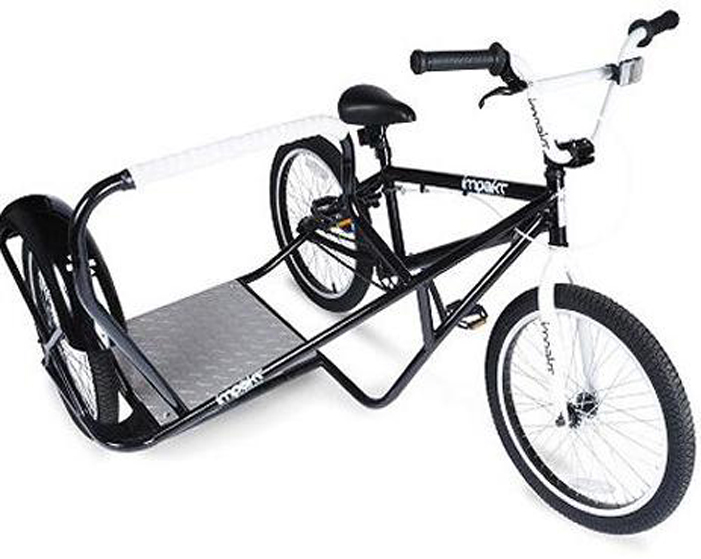 The great thing about tall bikes is they’re super easy to ride; if you can ride a bike you can ride one of these. And they seriously alter your perspective while riding. Believe it or not, they used to race these in the early days of BMX. DJ Greyboy has since made it his mission to bring back the side hack and has succeeded. Together with Rob Drydek and DJ Truly Odd, they created IMPAKT. If you’re lucky you’ll be able to find one of these sidehacks at your local Walmart (if you’re local Walmart is in the US). They go for $199.99 US, which has to make you suspicious about the build quality. Which may make you consider building your own. What do you do with a sidehack? That’s the beauty of them. Whatever the hell you want. Use it to transport your kid, your dog, your groceries, or rally up a side hack driver and head to your local BMX track. With enough sidehacks they’ll run a race. And that’s where the fun begins. The backwards brain bicycle has been a mainstay of carnivals throughout the UK for decades; a carnie challenges you to ride it 15 feet then you pay him to try over and over again. Oldest trick in the book. How do they work? Well a gear makes it so when you turn the bars left, the wheel goes right. And therein lies the challenge. Yes these things are nearly impossible to ride. Why would you build one? To make a killing at the carnival. The rollover is a circus classic. Simply jam on your front brakes and roll it over. Unfortunately we haven’t tried one of these yet. Anyone got one? We’re not sure on the lineage of this thing, but it’s a stroke of something… not quite genius, but something. 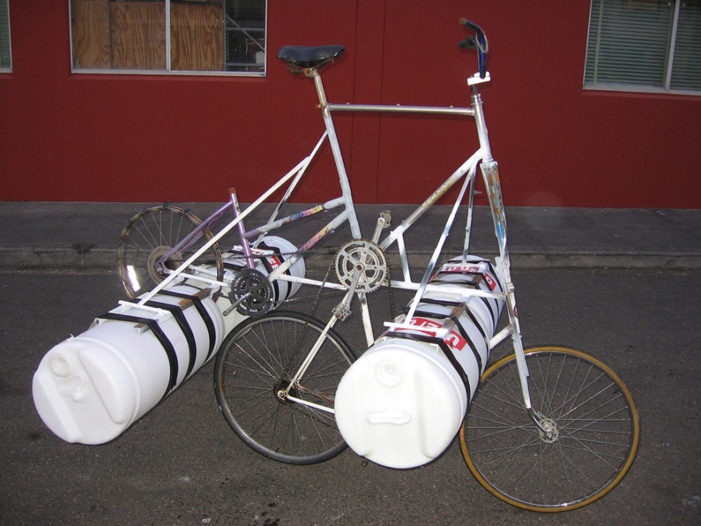 Fully amphibious, the Ross Island Explorer is a tall bike featuring floats and a paddle wheel. How does it work? Probably really, really badly.